A new school year is an exciting time. It’s a chance for your kids to catch up with all their old friends and get a fresh start at school. But making sure your kids are prepared for the new year means putting everything in its proper place at home. With the right organization and routine, your children will be better equipped to tackle the new school year. Here are five of the best back-to-school organization hacks. Classwork, tests, and quizzes accumulate over time, and without the proper organization, it can quickly just become a pile of messy papers. Stop that threat at its source. Set up a home file in a box or drawer and get into the habit of sorting everything at the end of the week; this is one of the best back-to-school organization moves you can make. Be sure to color code everything according to class. This will provide your kids with the reference materials they need when final exams come around and give you the means to better chart their progress over the course of the year. Most schools are highly structured environments, and the designated class times and strict seating charts help kids stay focused on the tasks at hand, but they can easily fall into bad habits once they’re home. Try creating workstations at your home as part of your back-to-school organization routine. Designate a room or desk for your kids to do their homework, and set aside a special after-school snack station to reward them for their hard work without worrying about ruining their appetites. Simple boxes or crates can be used to create colorful cubbies that will prevent school supplies from being scattered all over the floor and ensure everything is in one place when it’s time to leave for class in the morning. School season is a busy time of year for both parents and students. 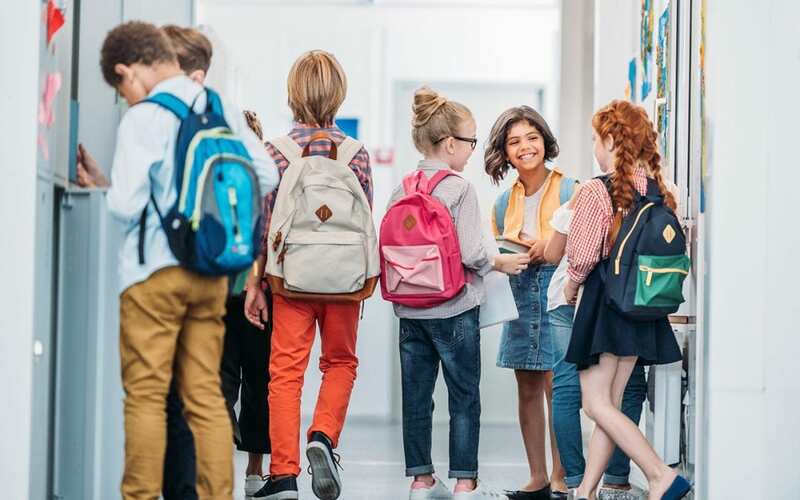 Not only do you have to keep track of their upcoming school projects, tests, and parent-teacher meetings, there’s also plenty of extracurricular activities to concern yourself with as well. From soccer class to play rehearsals to field trips, it can be easy to forget about what’s coming up. A bright, colorful calendar in a central space like your living room or kitchen means that everyone can keep track of what’s going on that week. A physical, visual aid can be a great incentive, but you may also consider setting up an online shareable calendar using a free app like Google Calendar so that everyone can view and edit the itinerary regardless of where they are. There’s nothing worse than scrambling with your kids to finish up a last minute project only to realize that you’ve run out of the glue you need to paste their poster together. A little preparation can prevent hassle down the line. When you go out to the store to get your back-to-school organization tools, make sure to stock up on the essentials. Poster board, pencils, markers, folders, and notebooks are all good things to have on hand. Set aside a special cabinet or closet so you’ll have these extra supplies when you need them. Whether you’re driving your kid to school or basketball practice, chances are you don’t have a lot of downtime. This is why setting up a caddy in the back of your car is so helpful. Stuff it with non-perishable healthy snacks, kleenex, a first-aid kit, and everything else your busy kids may need while on the go. Guardian Home Inspection Services provides home inspections for Southwest Michigan. Contact us to book an inspection.